Our commercial HVAC repair technicians have the training and experience to diagnose and repair all makes of commercial heating and air conditioning equipment. 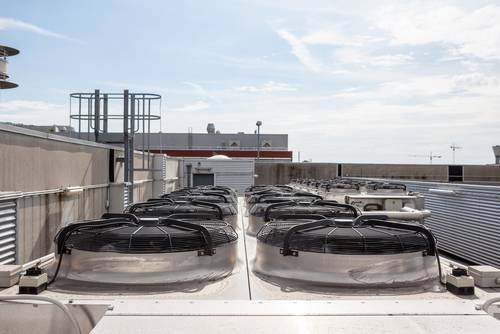 From small, split heating and cooling systems to 20+ ton rooftop units, there’s no commercial HVAC repair too large or small for us to handle with supreme expertise. Our technicians are professional, courteous, and commit nearly 100 hours per year to continue education. After Fred’s professionally diagnoses your issue, we present a quote and carefully talk you through your options before making any repairs. Call us today if you need professional, expert commercial HVAC repair. The best way to avoid major commercial HVAC repairs is a commitment to long-term preventive maintenance. Emergency breakdowns during severe heat or cold create major problems for tenants, customers, and businesses. Investing in a proactive maintenance plan minimizes utility bills, avoids significant repairs, and extends the useful life of commercial heating and cooling equipment. Click here for more information on Fred’s unmatched commercial maintenance agreement plans. Whether you’re a home or business owner in the Omaha area, our expert HVAC contractors and technicians are dedicated to bringing you comfort through reliable temperature management. Our commitment to making every first-time customer a lifetime customer holds us accountable to the highest quality service and repairs in the industry. Call us today at 402-779-7065 to schedule your free estimate!